I have never exactly liked the idea of a New Year's Resolution. I have the opinion that if you need to make a change, then you should do it when you figure out that it should be done instead of waiting around. But I always wait around. It's the perpetual problem of my life: procrastination. And since I wait around, I make New Years Resolutions. It's a cycle and I'm okay with it. So this year I decided to make my New Year's resolution that is so simple, but also something that I really needed to do for a lot of different reasons. I should really drink more water. I've known this for years, but as I said-- I procrastinate. I always have made the excuse that as a nurse I never had TIME to drink more water. In fact, I would like to blame my nursing career for making me become accustomed to being chronically dehydrated. Now my body doesn't even think of asking for any kind of refreshment because it's become so efficient on running on hardly anything. So now I have to remind myself that I need to drink. That's the hard part because, well, I already admitted it-- I like to procrastinate. But now I'm not working as a nurse and I'm a student again. I have plenty of time to do lots of things especially drink more water. Now there is NO excuse! It keeps you looking young. Yay! Helps to fight off or prevent illness and keeps you healthy! All of those things sound good to me! So I have devised a plan to help me remember to drink more water and I'm sure that it can work for you, too. 1. 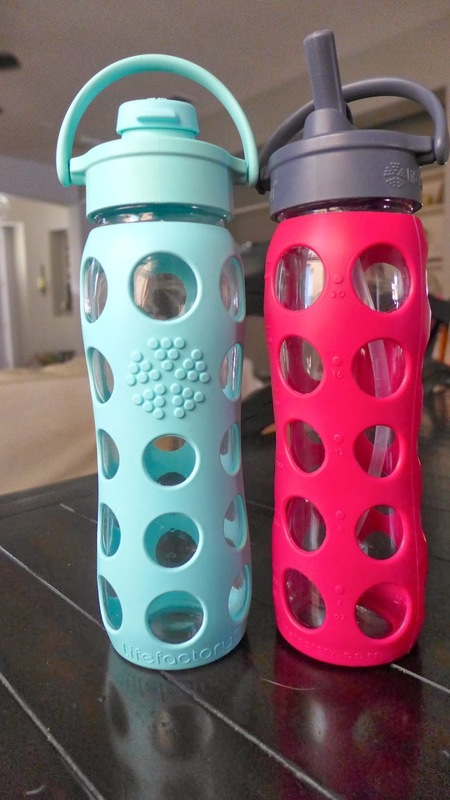 Buy quality water bottles to use at home and on the go. These are LifeFactory water bottles and they are such a cool concept. First, they are glass which is healthier than plastic and they are wrapped in this silicone cover to cushion them against breaking. I've had them for about 6 months and they've held up great. I got one with a straw (the raspberry color) and one with a pop top (the blue one). I will say that the pop top is better than the straw for the most part, but the tops are all interchangeable. You can buy a top in a different color or style for the water bottles so it's really customizable. It's kind of amazing because it's seriously cut down on my snacking. I feel those five pounds dripping off my body! Also, we can get the hunger and the thirsty cues in our bodies mixed up and most people will lean towards the idea that they are hungry when, in fact, they are thirsty. 3. Cut down on the calorie filled drinks and use flavored water instead. It has a glass body, but the infuser is BPA free plastic. There is no silicone cushion to this water bottle so it's my "stay at home" bottle, but I love it! This will help you to actually cut down on how much you eat and boost your metabolism at the same time. Win-Win baby! I'm a big list person so this really works for me. If I have to keep track of my water consumption and write it down at the end of the day, then I'm more aware of what I'm drinking and I'll be more likely to meet my goal. But how much should you drink? There's actually a simply math formula to get you started. Take your body weight (in pounds) and divide it by 2. 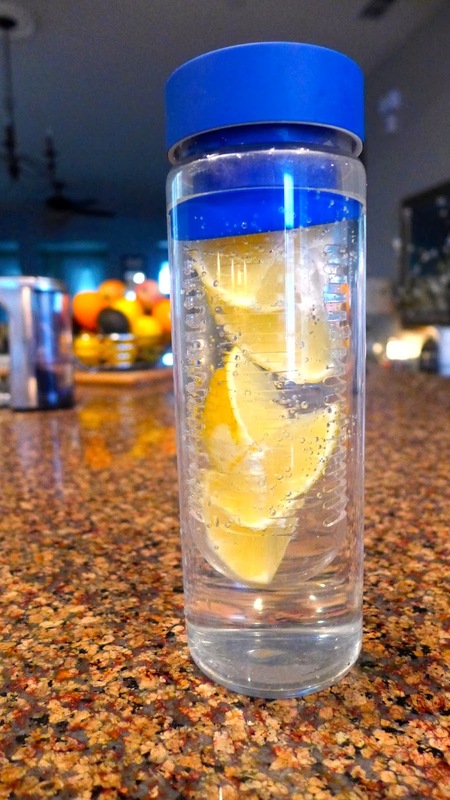 Whatever the result is should be around the amount of water you should drink in ounces. Obviously if you workout or if you are sweating a lot, then you should drink more, but this is a great place to get started. You can also use your urine as a gauge to how well you're doing. It should be clear to pale yellow-- not dark. 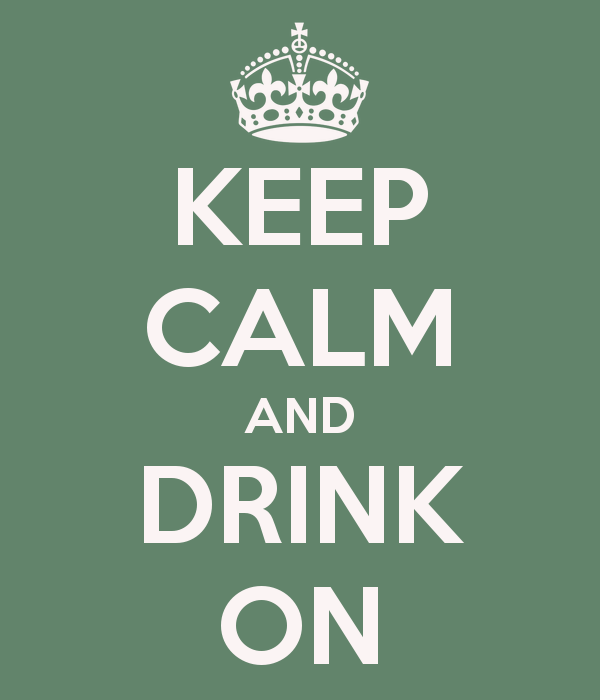 If it's dark-- drink more!